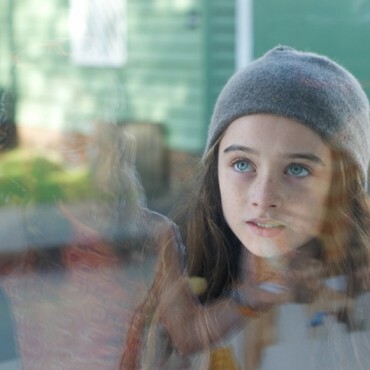 Molly Moon has grown up in a miserable orphanage called Hardwick House. 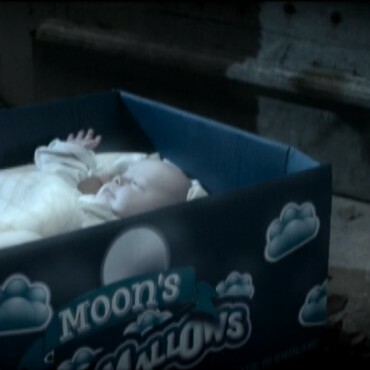 Molly Moon is found as a baby in a Moon’s Marshmallow box, dumped on the doorstep of Hardwick House Orphanage. Hardwick House is a miserable, draughty place and Molly endures a hard life there. 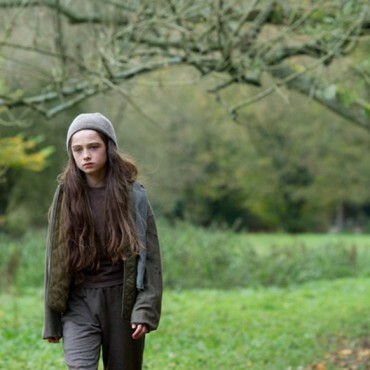 Molly walks through the wood near the orphanage. She is at rock bottom. 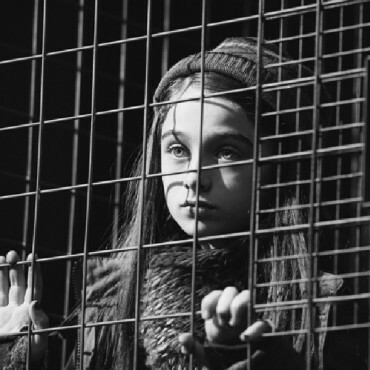 Her life at Hardwick House orphanage is so horrible. 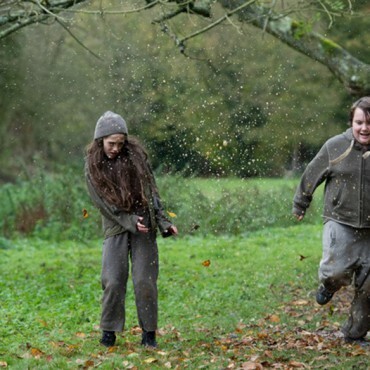 Gordon runs through the wood past Molly. He taunts her and splashes her. This was a sequence that we filmed but that was never used in the final edit of the film. Molly has been given a washing up punishment. 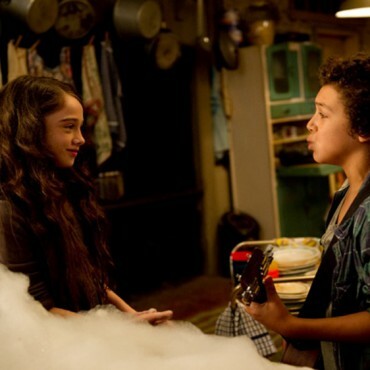 Rocky tries to cheer her up and sings a song he has written. The children huddle together in the bedroom as Miss Adderstone lays into them. Rocky gets his face squashed by the orphan bully Hazel. 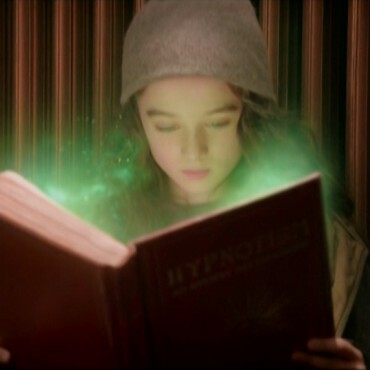 Molly discovers the book Hypnotism an Ancient Art Explained. 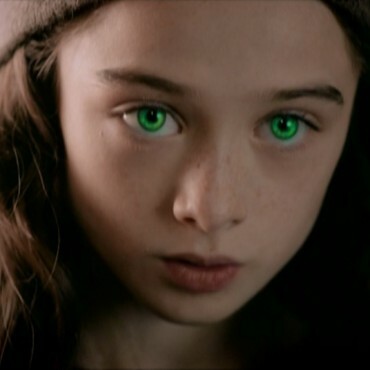 The VFX (Visual Effects) people made magical green dust come out of the book – dust that shows that the book is choosing Molly. The VFX people do brilliant things. Molly comes face to face with Professor Nockman in Miss Adderstone’s office. Molly attempts to hypnotize Petula with a pendulum made of a chocolate biscuit. Molly is becoming a master hypnotist. She perfects her hypnotic stare. 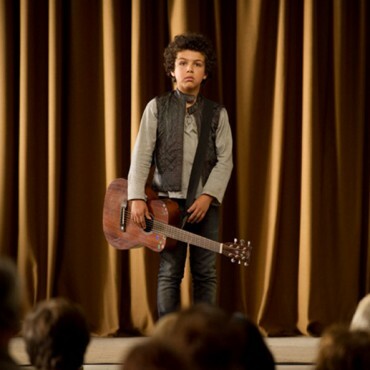 Rocky gets stage fright at the talent contest, and can’t play or sing. Molly has hypnotised grumpy Edna to be kind and to cook yummy food. 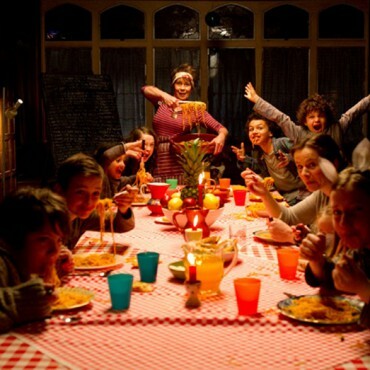 She has made spaghetti and the orphanage kids cannot believe it. Mr and Mrs Alabaster visit Hardwick House Orphanage. They have come to adopt a child. Miss Adderstone, now hypnotised by Molly speaks to Mr and Mrs Alabaster. Jinx says ‘She’s gone bonkers’. Molly is over the moon! She’s hypnotised her way into a luxury hotel in London. 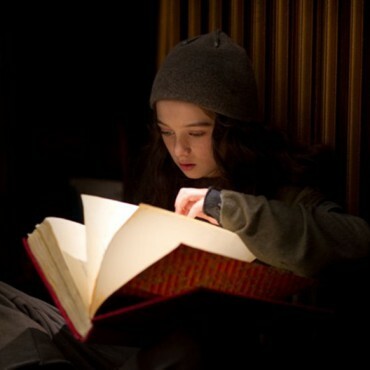 In the book Molly goes to New York. 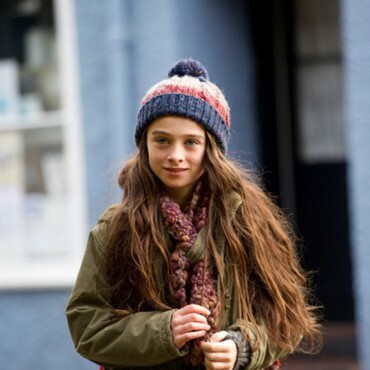 But in the film I decided to change the story and have Molly travel from Briersville to London. Petula is also enjoying living the high-life in the London hotel. Molly hypnotises an audience at Portland Studios, and people at home watching her on their TVs are hypnotised too. A giant magnifying glass has come down in front of her. In post production the VFX people made Molly larger through the magnifying glass, though in this picture you cannot see this effect. 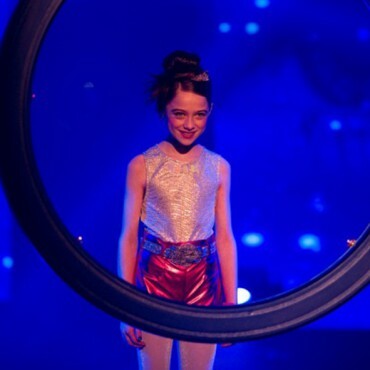 After Molly has hypnotised everyone, she then performs on stage for the live TV broadcast. This shot is what the hypnotised audience thinks they are seeing. In fact Molly can’t dance or sing at all. Molly has hit the big time. She poses for a crowd of paparazzi and fans. Rocky has been adopted by the Alabasters. He now lives in London. Nockman and his criminal mother. She is glamorous but cold and not a very good mum! Molly finds herself in a sticky situation with Cregg and Nockman. Are you 13 or older? 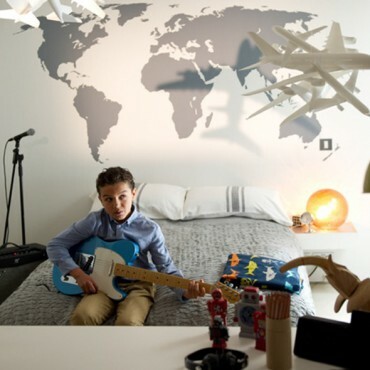 Because you are less than 13, you need to ask a parent or guardian for permission to join.